Full disclosure: All links are affiliate. I get a small revenue from the links, at no cost to you! "Sometimes things don't turn out exactly how we think they will, but it doesn't mean they won’t be just as good. Or even better…"
At a local nursery, Ben finds the perfect plant... tomatoes! But, tomatoes take a little while to grow. Will Ben have the patience to wait and will the tomatoes be everything he expects? A rhyming story of a basset's projectile sneezing and the accompanying woe! Ben's family and his grandmom, Peggy, go to the pumpkin patch where they learn family traditions and that the best things come in small packages! 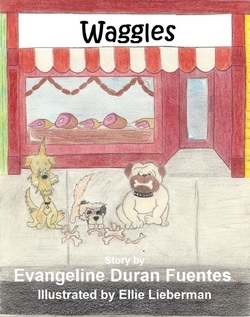 "And wiggle-waggle, wiggle-waggle went his tail..."
He wanted so much to be a big dog, free and on his own. But, his adventure took a lonely, scary twist. Will Waggles ever be safe at home again? 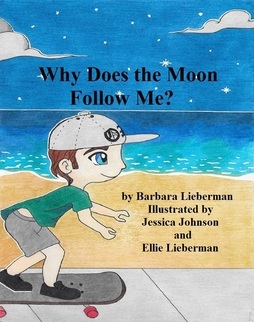 "Why does the moon follow me and chase across the sky?" Inspired by a friend’s earliest childhood memory, Why Does the Moon Follow Me is a lullaby in a book: quiet, sweet, and the perfect bedtime read. ​"They saw the most beautiful spider web. It was made of so many different shapes and was sparkling with dew." 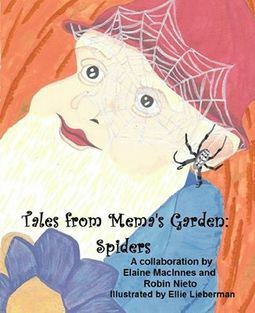 Children and their two grandmothers learn about spiders in Mema's Garden. ​"Scruffy didn't have a home of his own or a family to care for him..."
​Scruffy finally had everything he ever wanted… a home, a loving owner, and all the food his tummy could handle. Just when things were looking up, Scruffy goes missing. ​"All was perfect, but Duke had no idea that on this beautiful day . . . that would all chance." ​Duke’s comfy life is suddenly disturbed by a new arrival. What exactly is a Daisy and just how long will she be staying? "One day she'll be a swift and graceful butterfly..."
Follow Ms. Hairry as she travels across a field, teaching us that all creatures are important, no matter the color, size, or how insignificant they may seem.